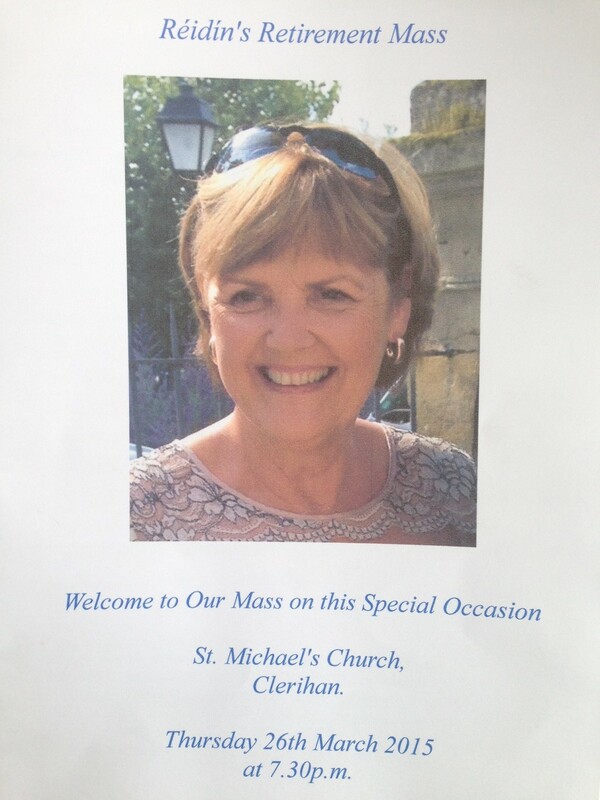 Last night witnessed a special ceremony in St. Michael’s Church for a special lady who had done so much for our community. Stretching back 38 years Mrs Condon has educated the children of Clerihan with her easy manner, good humour and grace. Her retirement means that we, as a community will lose her, but we are all so thankful that we had her for so long. 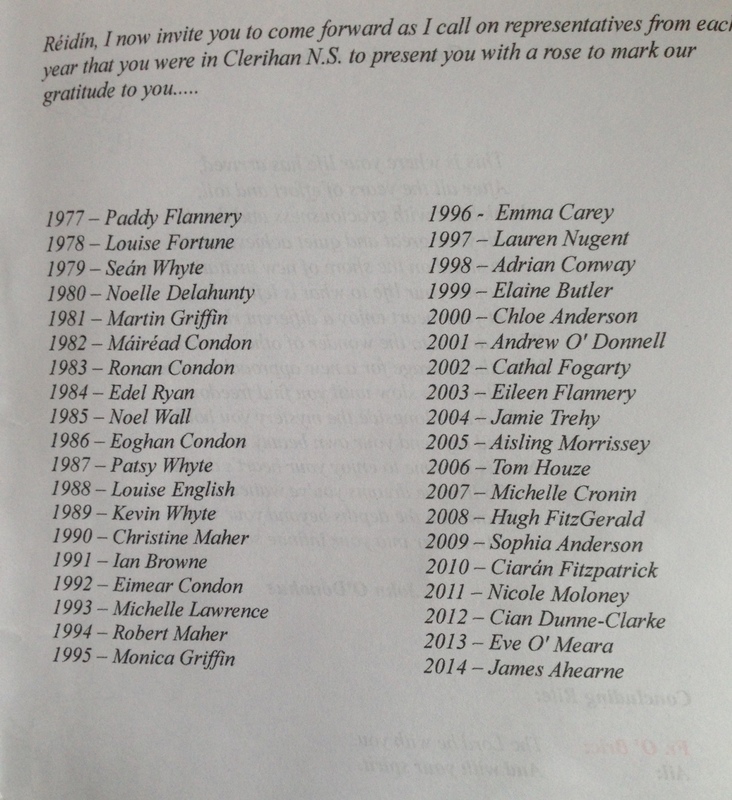 Following a joyous mass, Reidin was presented with a flower from past and present pupils to represent each year that she was in Clerihan. We all wish her well for the future and remain thankful for her unique impression she has left on Clerihan and in St. Michaels N.S.